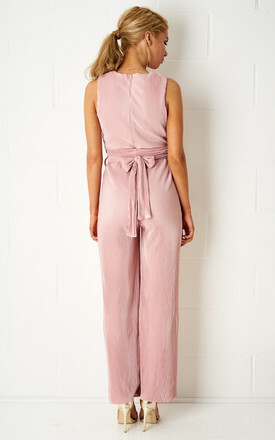 We love this elegant jumpsuit from Frontrow - think powerful silhouettes in luxe fabrics. This belted 'Monika ' creation is cut from a smooth plissé-satin and half lined for maximum coverage under any light. The sweeping, wide legs call for your highest heels.